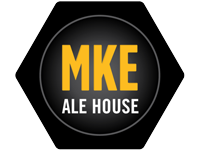 Founded by Local home brewers on October 17, 1997, the Milwaukee Ale House serves up fresh music, live beer and great food to the good people of Wisconsin and travelers from all over the world. 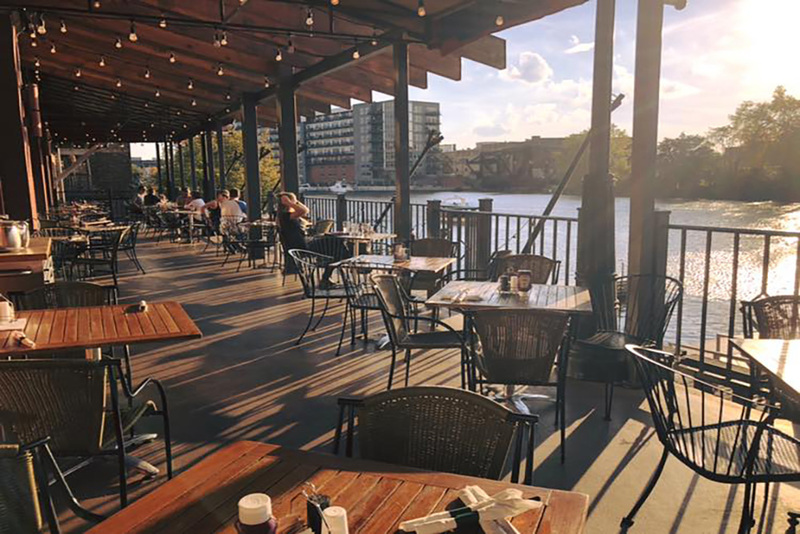 Located in a brick and timber warehouse building downtown in the Historic Third Ward, we offer indoor and outdoor dining, six or more hand crafted beers, lunch and dinner everyday with late night food on the weekends. 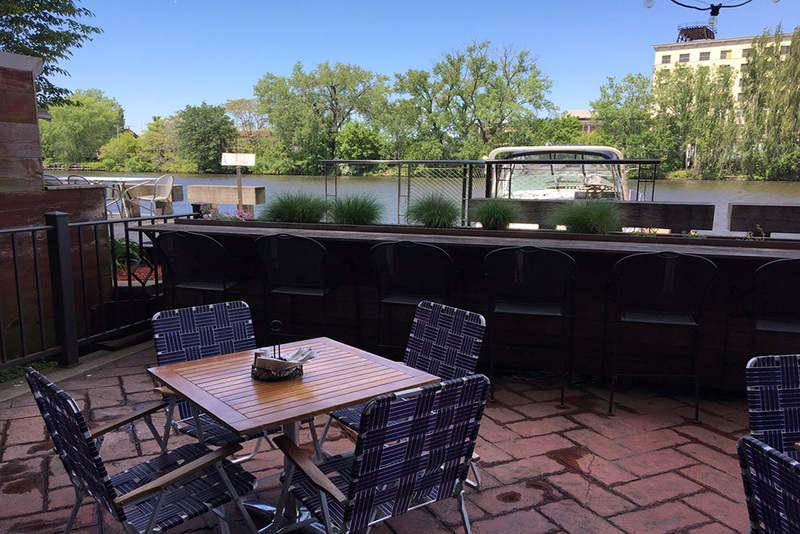 Our seating on the Milwaukee River overlooks downtown and our 6 public boat slips create an atmosphere that offers our diners a unique connection to the roots of the city that made beer famous! Schooners used to dock in front of our building to get fitted with new sails before heading back out to Lake Michigan. with green tea, chamomille and ginger. The Andrew Gelles Band plays out and about Southeastern Wisconsin. The band is led by Andrew, who began playing guitar at age 12. Now, 20 some years later, The Andrew Gelles Band has played hundreds of shows. They have opened for legends like Johnny Winter, Koko Taylor, Greg Koch, Buckwheat Zydeco, and Cowboy Mouth. Brewtown Beat is shaking up Milwaukee’s party band scene, playing a great mix of Ska & Reggae, plus well-known Alternative, Pop, and Rock songs like you’ve never heard them before. With full horn section, multiple vocalists, diverse songlist, and fun live presentation, the band has been winning over audiences and club owners since their debut performance. Enjoy the sweet horn sounds and steady grooves whether you’re dancing, drinking, or just hanging around. Song List includes music from: Bob Marley, Toots & The Maytals, The Clash, The Specials, English Beat, Madness, Men at Work, The Cure, Mighty Mighty Bosstones, Sublime, No Doubt, 311, Reel Big Fish, Cake, The Killers, Weezer, Vampire Weekend, The Black Keys, Imagine Dragons, and more! FANTASTIC place to stop and enjoy some beers and cheese curds. Highly recommend the Bavarian pretzel with cheese and just a stop in for the atmosphere. Friendly staff, great options for beers – their flight of the aged beers was some of our most favorite of the over 100 beers we tried on this week long trip! A definite must stop. 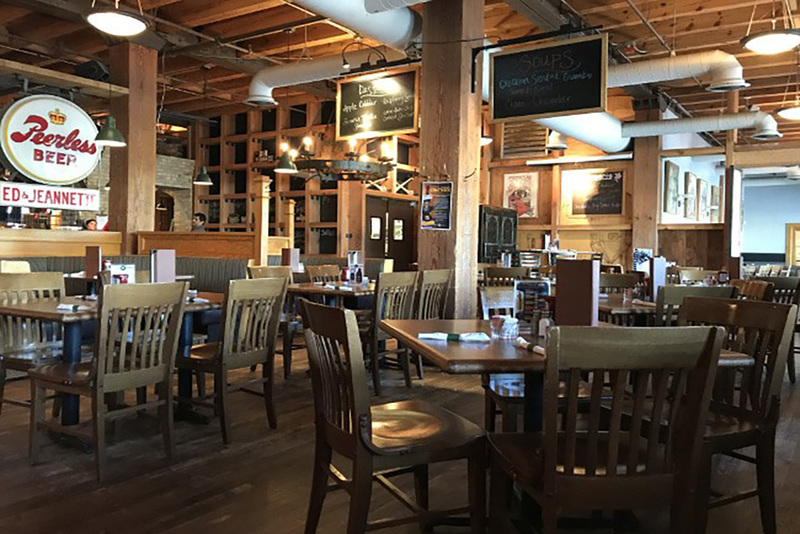 The restaurant has great comfort-food options as well as sandwiches and wings. The wait staff is friendly and accommodating. 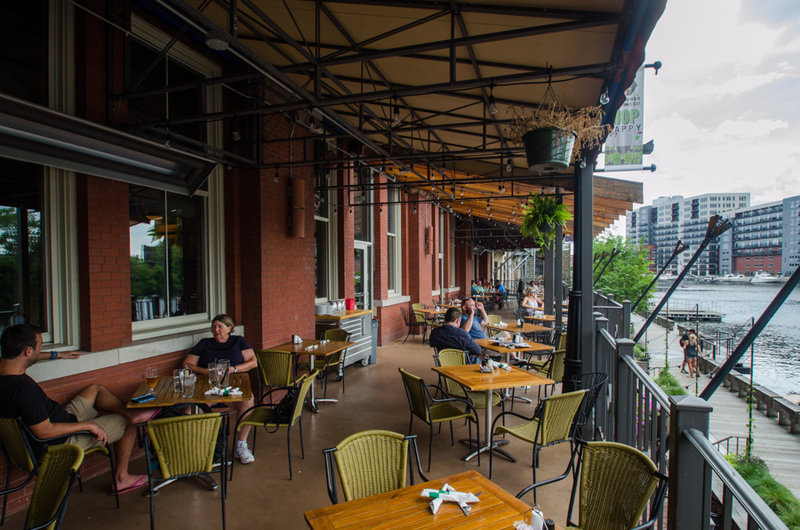 Largest patio area on the river for the third ward. 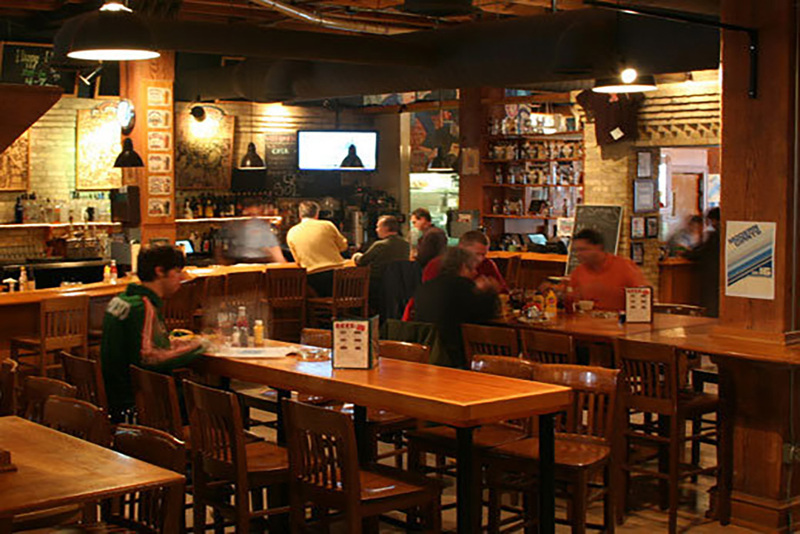 The bar also does fun events almost daily including weekly trivia and karaoke. 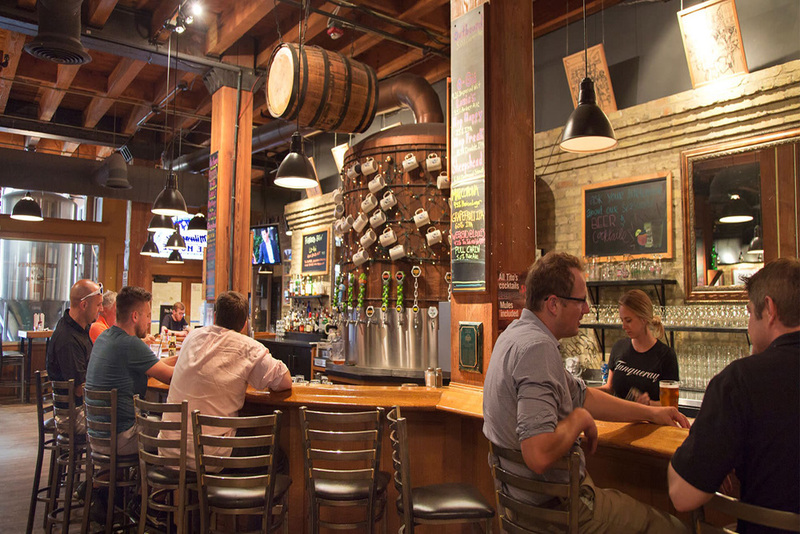 They have a full bar as well as their featured MKE beers on tap. I would recommend the wings! We stopped in here for lunch while walking along the river front. Very helpful waiter who knew the beers that they brewed and offered a great suggestion. IPA beer was great. Hummus wrap was excellent, but had a kick to it if you are not a lover of spiced food. Avocado Salad was also good. 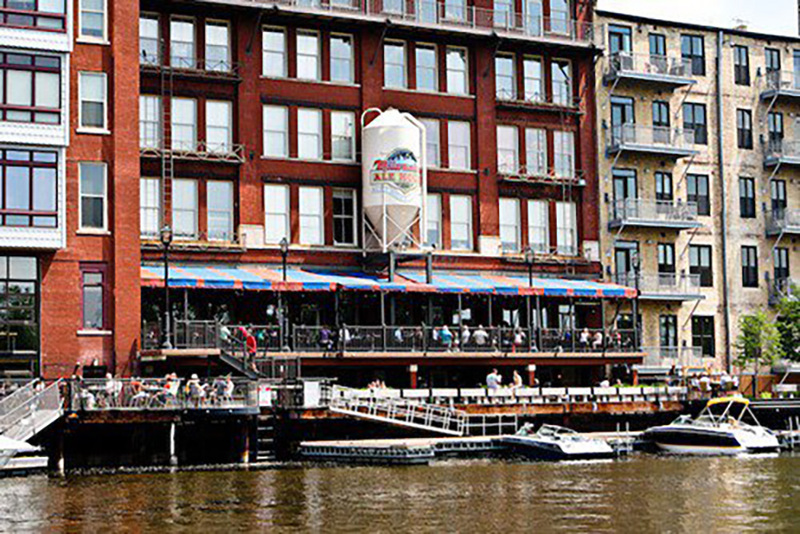 They are on Water Street but also have an entrance from the river-walk on the west side of the Third Ward district. Want to be one of the first to sample some of our new brews, enjoy 20% off at lunch and happy hour all day on Wednesdays? Then you might enjoy being a part of our Mug club. Email Manda at manda@ale-house.com for more information about joining.